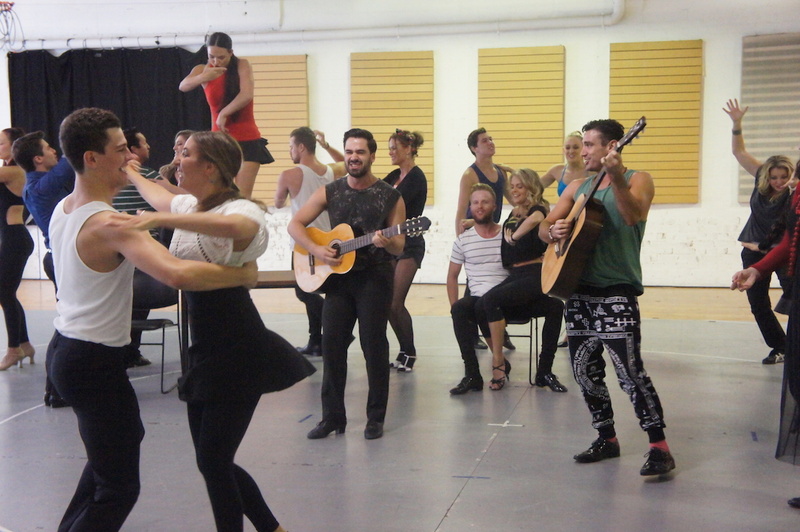 The cast of Strictly Ballroom the Musical has been hard at work in the rehearsal room as they prepare for next week’s Melbourne opening. Associate Director Kelley Abbey introduced the cast and the two numbers to be performed. Thomas Lacey (Scott Hastings), Phoebe Panaretos (Fran) and ensemble members performed a gentle version of the classic ballad “Love is in the Air.” . . . . . .
Natalie Gamsu (Abuela) and Rico (Fernando Mira) joined Lacey, Panaretos and company members for “Love is a Leap of Faith,” one of the stage musical’s original songs by Sia Furler (with Neff-U, Isaac Hanson and Baz Luhrmann). . . . . . 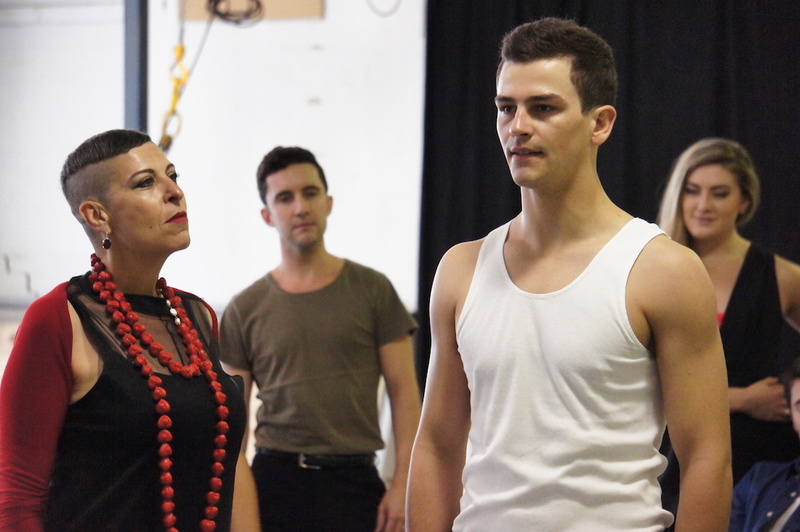 Following its Sydney season, Strictly Ballroom the Musical has been tweaked and re-rehearsed, with twenty minutes reportedly trimmed from its running time. Hopes are high that these amendments will allow Strictly Ballroom to reach its potential to be a smash hit. Next stop Melbourne, then the rest of the world! 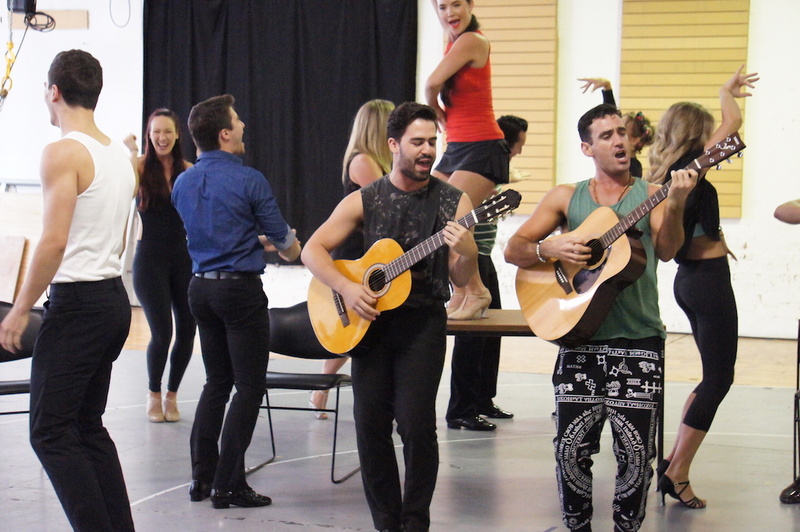 Strictly Ballroom begins previews at Her Majesty’s Theatre, Melbourne on 14 January 2015 before the official opening night on 17 January 2015. 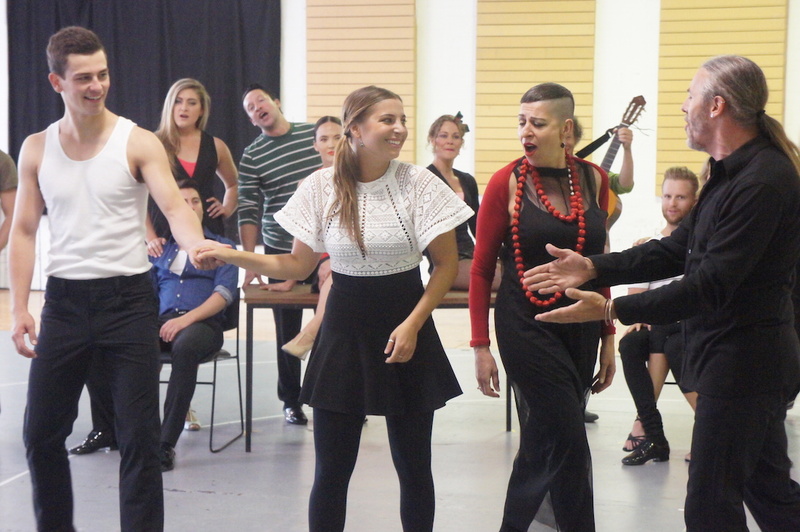 Man in Chair reviewed the Sydney season of Strictly Ballroom. Glad to hear you enjoyed the production Ray. Your comments have reminded me that I should go and see the show again!